I was first intrigued by the off-road unicyclist. Then I saw the oil tanker surfers, and I knew I'd have to do a showcase about these ads. Other "pioneers" include a group of guerrilla gardeners, a blind sled dog racer, and a pair of tundra golfers. 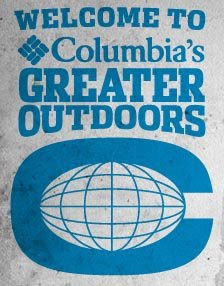 I thought these odd sports were cooked up by some ad agency, hoping to attract attention to Columbia Sportswear, but these athletes are real. Check out the website to see some in-depth interviews. Some of their stories are very interesting. "Nobody had really done street unicycling before. Nobody had tried to grind a rail or jump down stairs or anything like that, so that became my goal. That's what I wanted to do. I had seen skateboards do it and I had seen bikes do it, and I said, ya know, maybe this is possible on a unicycle," Dan Heaton, street and mountain unicyclist. The spots all have a slight theme of poking fun at these adventurers, but they still provide respect to the strange activities. The song playing over all of the spots is called "Quest for Glory" by Q-Factory. The Hess Truck is Back! You're in the Movies, Burt Reynolds!